Lots of folks spend big bucks and go to Alaska for Chinooks. 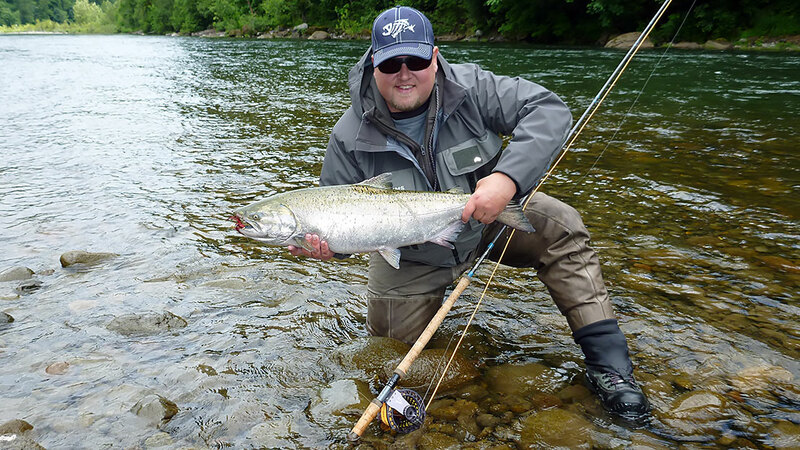 True Alaska Chinooks are often bigger, but Oregon Chinooks bite flies just as well and you don't have to worry about bears or skeeters while you are fishing. 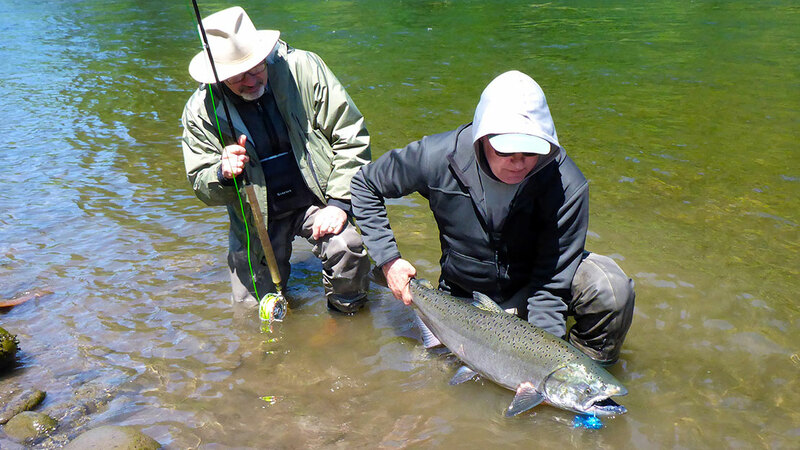 Oregon Spring Run Chinooks average 14-20 pound but may exceed 30 pounds. They are very strong for their size. We recommend 8-9 weight Spey rods. Our rivers are comparatively easy to wade, and are of a size that is easy to handle. Success rates are slightly better than winter steelhead. Services and prices are the same as steelhead float trips : $500 per day. In 2019 Mark is fishing for Chinooks from 5/20 -6/21. Please select your dates from the drop-down shopping cart menu above. If dates appear on this drop-down menu they are open and available. Weekend dates are not available. Chinook fishing success is dependent on having good water levels, and this year we have a good solid high elevation snow-pack for perfect water levels for success. ODFW is predicting a run of about 5,500 Spring Chinooks returning to the Sandy River in 2019. This is up slightly from 2018.